Sustainability has played an integral role in our practice for well over 30 years. Long before the advent of LEED and climate change, we were aggressive advocates of finding strategies to reduce the energy use in our buildings. Signing the AIA 2030 Commitment has pushed our practice and our clients to drive down the energy intensity of our buildings even further, and it has simultaneously transformed our practice by building “energy literacy” that has permeated throughout the organization. Recently, our Undergraduate Science Group gathered to discuss and share themes and challenges particular to designing sustainable undergraduate science buildings. One of the special aspects of undergraduate clients is that they have a strong incentive to invest in buildings that will last for the next 50-100 years. 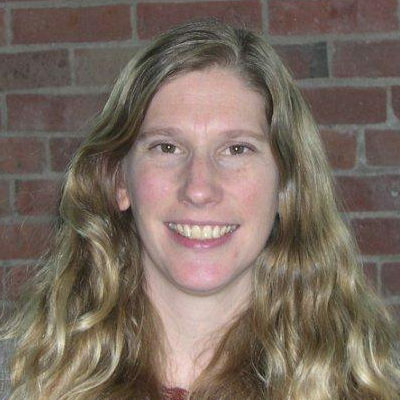 This makes them particularly interested in high-quality flexible designs that will support their institution far beyond the tenure of individuals. Not only do their new buildings need to be of high quality, but it is also critical to reduce day to day operational costs, and by association, the energy use of their buildings. 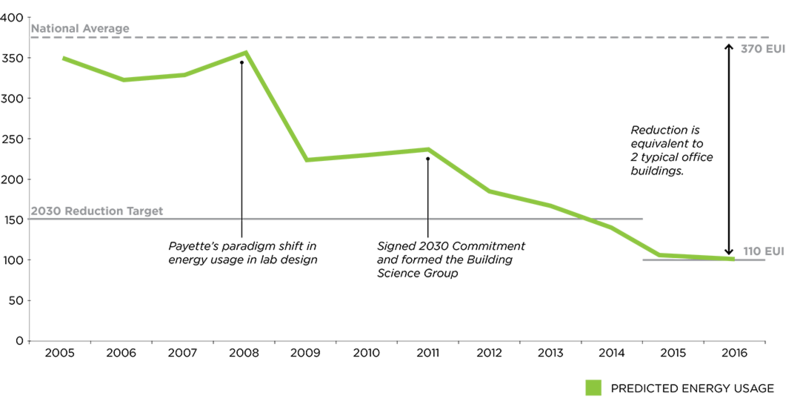 As a result, colleges and universities are some of the earliest adopters of sustainable strategies that lower the energy use of a building. When we compared undergraduate science centers in design and construction in our practice, we discovered several common strategies that are being pursued: high performance envelopes, high efficiency hydronic mechanical systems (using chilled beams, fan coil units, and radiant flooring); employing programmatic zoning strategies to cascade air from low hazard spaces to higher hazard spaces; fume hood innovation including low flow and filtered hoods in teaching applications, and resource use reduction using rainwater harvesting, solar panels, solar hot water and geothermal systems. During the session, the group discussed the sustainable strategies of seven of our current or recently completed science buildings. 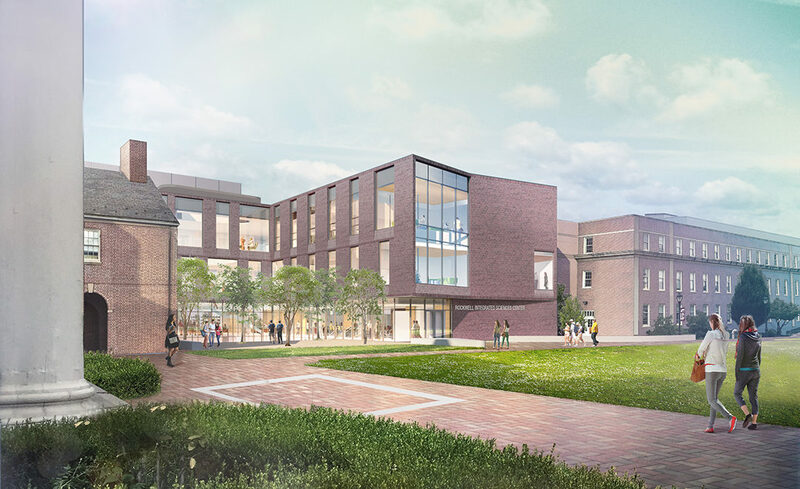 In this article we will highlight two significant projects: the Science and Engineering Complex at Tufts University completed in 2017 and the Rockwell Integrated Sciences Center at Lafayette College which will be completed in 2019. 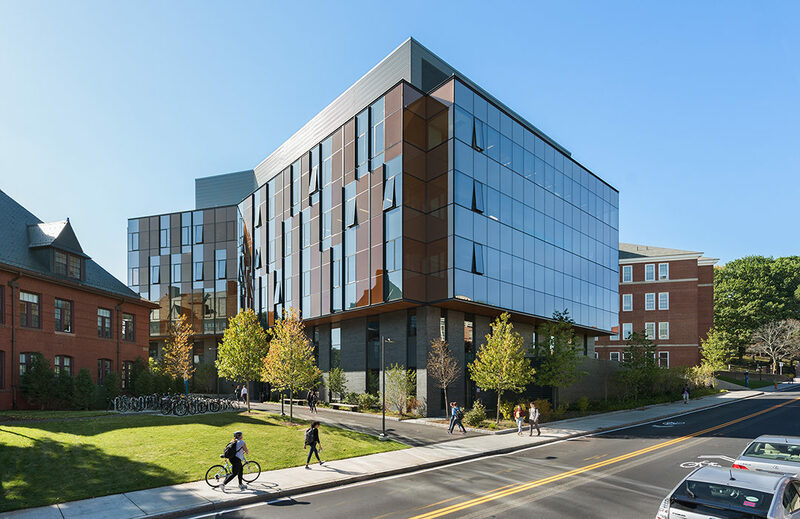 The Science and Engineering Complex at Tufts University uses energy reducing strategies across all building systems by establishing an aggressive energy use intensity (EUI) target of 100 kBTU/SF/YR (a 77% reduction in energy use compared to similar lab buildings). The strategies include reducing the amount of energy spent on heating and cooling air; managing temperatures by an efficient hydronic-based HVAC system including chilled beams, and cascading non-lab air through the atrium and returning it to the penthouse to temper laboratory supply air. Additionally a significant portion of the building can be naturally ventilated including the atrium, offices and meeting spaces. Electrical energy is conserved in the project by using a task lighting strategy with occupancy sensors, daylight harvesting, and extensive LED fixtures allowing the project to reduce the watts/SF by 40% compared to similar buildings. Lafayette College’s Rockwell Integrated Sciences Center also targeted an aggressive energy use intensity (EUI) for the project of 84 kBTU/SF/YR (a 70% reduction in energy use compared to a typical science center). The College had a related goal of reducing the campus carbon footprint. By replacing their existing biology building which was highly energy intensive with a highly efficient new building, the college was able to reduce the building’s carbon footprint by 40%. The main strategy used by this project to minimize the EUI was to reduce the amount of energy needed to heat and cool spaces. 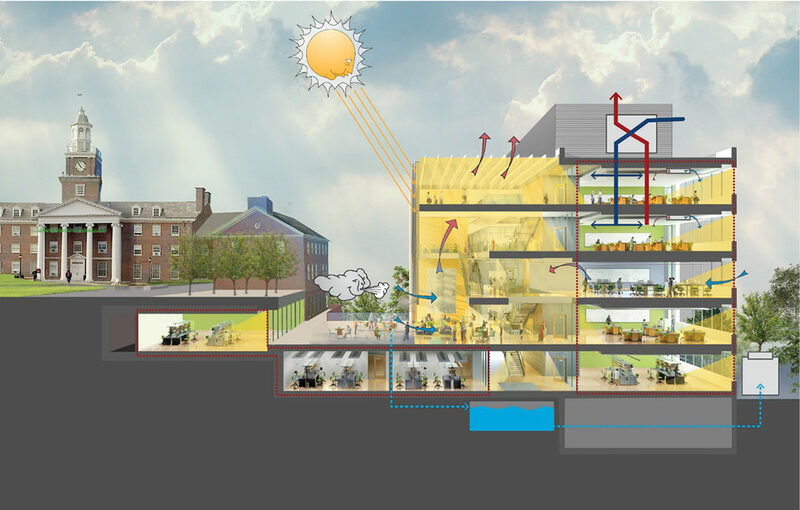 A multi-valent approach was used which included: filtered fume hoods (80% of the hoods on the project re-circulate air to the room after cleaning by an active carbon filter); cascading air through programmatic zones similar to the Tufts project; using hydronic heating and cooling systems; and limiting the glazing on the project (27%) to optimize light and views while minimizing heat loss. By sharing our experiences and knowledge within our design and planning communities, our practice continues to improve the quality and efficiency of the buildings we design.